It's widely assumed that in the future everybody (except maybe blacks) will try hard to grab for the brass ring of White Privilege by identifying as white whenever possible. In reality, the opposite seems to be happening. For example, here's a dull NYT op-ed on the recent Puerto Rican statehood plebiscite by a New York literary agent named who was born and raised in North Carolina. He doesn't even have much of an opinion on the subject. What he does have is an identity: Puerto Rican. He's Puerto Rican in that modern sense, like the way Obama is black, only nobody can even notice by looking at this Tarheel. Will Puerto Rico Be America’s 51st State? Despite what my name suggests, I am Puerto Rican. I grew up with a mother from the island and a Scots-Irish father in a small town in rural North Carolina, at a time when there were so few Hispanics in the area that my mom liked to go to a Mexican restaurant just to speak some Spanish. Wouldn't that suggest he is as as Scots-Irish by nature as he is Puerto Rican? And a lot more Scots-Irish by nurture? So, why not say you are both? Of course, a lot of privileges come with identifying as a Puerto Rican that don't come with identifying as a Scots-Irishman. That was 20-odd years ago. The local Latino population has grown so much since then that my mom, who retired two years ago, was able to work for a decade as a translator for the local school system. I was used to being “discovered” as Puerto Rican. Sometimes when this happened, I’d be called upon to explain things. In fourth grade, that meant being assigned to give the class — half black kids, and half white kids — a show-and-tell presentation on Puerto Rico and its strange status as a self-ruling commonwealth, with its own governor and legislature, the American president as its head of state, but whose residents lack a vote in national presidential elections or voting representation in Congress despite being American citizens. If Puerto Rico were our beach house, we’d pay more attention to it. And pay more attention to me. Did I mention I'm Puerto Rican? It has long been conventional wisdom among many Puerto Ricans that the status quo will hold because neither of the American national parties has decided that converting the island into a state would benefit them politically. When Spain granted Puerto Rico to the United States in 1898, President William McKinley initiated a project that he defined as “benevolent assimilation” on an island filled with people who already had a strong identity of their own and who, of course, primarily spoke Spanish. Some of the same people who had resisted rule by Spain, and who had even achieved an extremely brief autonomy — nine months — for the island before the American Navy’s arrival, continued to resist rule by the United States. Among them was a family member — the poet, journalist and statesman Luis Muñoz Rivera. It was during the Spanish reign that he had written, “Annexionism had always seemed to me absurd, depressing and inconceivable.” Though Mr. Muñoz Rivera continued to make the case for autonomy, he was also essential in the creation of some useful accommodations to American rule, like the Jones Act. 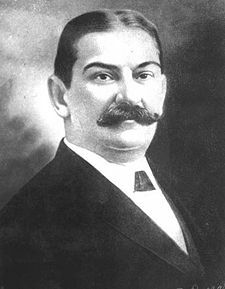 Luis Muñoz Rivera’s son, Luis Muñoz Marín, was the first democratically elected governor of Puerto Rico — and my grandmother’s first cousin. In other words, let me also make clear to the kind of Puerto Ricans who read the New York Times that I am the right kind of Puerto Rican, if you know what I mean. David Royston Patterson is a literary agent at Foundry Literary + Media in New York.